Project X Designs, famous for their customized Rolexes, is proud to present their PXD SS1 Limited edition Rolex Submariner. This watch, based on the current Submariner ref.16610LV, is a hommage to the James Bond Submariners of the 1950s & Military Submariners of the 1970s. Although Bond’s Submariner was less high-tech (in real life that is), Project X Designs tried to bring the ‘look & feel’ of that very watch by removing the crown protectors and putting the watch on a NATO strap. 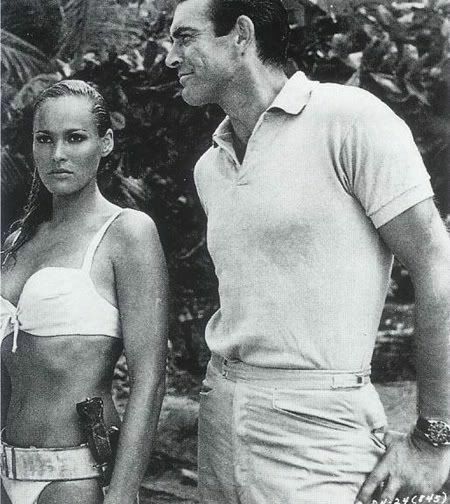 Most information available about the watches that James Bond actually DID wear, can be found on Dell Deaton’s excellent website http://www.jamesbondwatches.com/. By using the LV (Lunette Vert) model of the Rolex Submariner 16610, the watch instantly has the great maxi dial. A maxi dials means that the hour markers are bigger than the regular dots on a Rolex’s dial. Project X Designs will be only producing 24 of these stainless steel Submariners, featuring a black bezel insert (instead of the green one), enamelled caseback engravings, grey G10 NATO strap. The original stainless steel bracelet, as well as the original box and papers are included. As you can see, the crown guards and the cyclops have been removed by Project X Designs, to create that vintage look. Since nobody knows when the production of the original 16610LV will end (it is a time limited model, started to celebrate the 50th anniversary of the Submariner), it is a great opportunity to get the best from both worlds. A time limited Rolex as well as a limited edition customized PXD watch. I think it is fair to say that this is not a re-edition or that Project X Designs is trying to ‘copy’ one of the original Submariners from the era mentioned before. 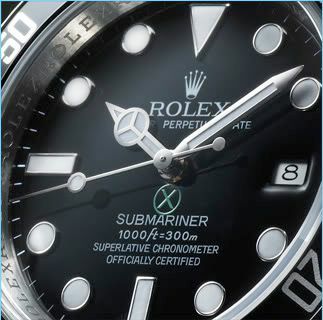 It is a hommage to one of the biggest watch icons there is, the Rolex Submariner. If you want to make this watch a bit more ‘Bond’ than Military, try to add the NATO G10 style strap from Corvus Watch. 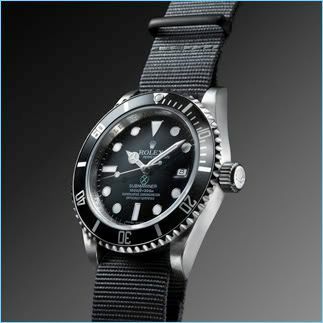 It is an exact replica of the NATO strap used by James Bond in Goldfinger and Thunderball. 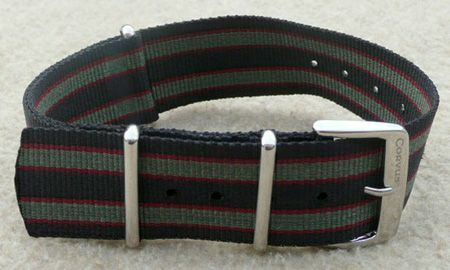 After doing research using HD TV and Blue Ray techniques, they finally know about the exact pattern of the NATO strap used in these Bond movies. Corvus Watch Company sells them for 39,95 USD. They come in three sizes, and you have to use the 18mm version if you want to be exactly like Bond, James Bond! Click here for the Corvus NATO Strap. Besides the above Submariner PXD SS1 watch, Project X Designs also introduces the PXD DS1, based on the famous Rolex Daytona 116520. Rolex’s one and only chronograph, in their current collection that is. Click here for more information on the PXD DS1.